Core Inflation. This is a measure of inflation which excludes certain volatile and seasonal prices. Core inflation will also exclude the impact of government excise duties. Core inflation is seen as important guide to long term inflation trends. however, if fuel price increases last for a while they can affect core inflation by raising price expectations. 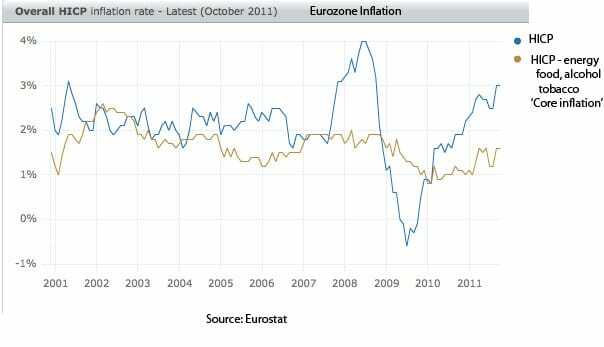 However, core inflation can be misleading for consumers, who will mistrust figures which exclude many prices they have to pay for. What is real inflation in UK? Is Inflation under or over estimated?